Tailspin, by Sandra Brown. Coming August, 2018. Pilot Rye Mallett needs to deliver a mysterious black box to a Dr. Lambert, but he is greeted first by a sabotage attempt that causes him to crash land, and then by Dr. Brynn O’Neal, who claims she was sent for the box in Dr. Lambert’s stead. Soon Rye and Brynn are in a 48-hour race to deliver the box before time runs out. Paradox, by Catherine Coulter. Coming July, 2018. Chief Ty Christie of Willicott, Maryland, witnesses a murder at dawn from the deck of her cottage on Lake Massey. When dragging the lake, not only do the divers find the murder victim, they also discover dozens of bones. Working together with Chief Christie, Savich and Sherlock soon discover a frightening connection between the bones and an escaped psychopath. Savich, Sherlock, and Chief Ty Christie work at high speed to uncover the truth before their own bones end up at the bottom on the lake. The Mark, by Janet Evanovich. Coming August, 2018. A sinister adversary has Nick Fox and Kate O’Hare in his crosshairs, and will stop at nothing to eliminate them. They’ll need to assemble the team to defeat their enemy. Unfortunately, their number one player, Kate’s father, is on the run and on the most wanted list, after being betrayed by an old friend. The trio is going to have to watch their backs at every turn to rid the world of their two greatest foes, and clear their names. Serpentine, by Laurell K. Hamilton. Coming August, 2018. Anita Blake faces new, even deadlier enemies as she and the people she loves confront major changes in their lives, in the latest adventure featuring the vampire hunter. Walking Shadows, by Faye Kellerman. Coming August, 2018. Detective Peter Decker and his wife, Rina Lazarus, risk life and limb to solve a pair of brutal murders that may be tied to a crime from more than twenty years ago. Safe and Sound, by Fern Michaels. Coming August, 2018. In their 29th adventure, the Sisterhood team up to find a gifted but neglected child the home he deserves. Texas Ranger, by James Patterson. Coming August, 2018. Texas Ranger Rory Yates arrives in his home town to find a horrifying crime scene and a scathing accusation: he is named a suspect in the murder of his ex-wife, Anne, a teacher whose only controversial act ever was deciding to end her marriage to a Ranger. In search of the killer, Yates follows the Ranger creed–never to surrender–into the the most twisted and violent minds he’s ever encountered. That code just might bring him out alive. The Money Shot, by Stuart Woods. Coming August, 2018. Teddy Fay is working undercover as a stuntman and actor starring in Centurion Pictures’ newest film. When the leading lady begins receiving blackmail threats, Teddy is in the perfect position to investigate. From the seedy hidden corners of Los Angeles to the glamorous Hollywood hills, it will take every ounce of Teddy’s cunning to save an actresses’ career, protect the studio, and finish filming Centurion’s next big hit. The Fallen, by David Baldacci. Coming April, 2018. Amos Decker is visiting his sister in western Pennsylvania when he finds two dead bodies. Faced with a stonewalling local police force, and roadblocks put up by unseen forces, Decker must pull out all the stops to solve the case. And even Decker’s infallible memory may not be enough to save him. I’ve Got My Eyes on You, by Mary Higgins Clark. Coming March, 2018. The Sixth Day, by Catherine Coulter. Coming April, 2018. When several major political figures die, the truth becomes clear–the deaths are well-constructed assassinations, and the Covert Eyes team is tasked to investigate. Nicholas Drummond and Michaela Caine home in on Roman Ardelean, a descendant of fifteenth century Romanian Vlad the Impaler–often romanticized as Dracula. Along with MI5, the Covert Eyes team must race against the clock to find Ardelean before he unleashes a devastating attack on London intended to destroy those he believes betrayed him. The Cutting Edge, by Jeffery Deaver. Coming April, 2018. Lincoln Rhyme and Amelia Sachs investigate a murderer targeting engaged couples. The Promisor takes the lives of men and women midway through the purchase of an engagement ring, after a meeting with a wedding planner, or trying on the perfect gown. Rhyme and Sachs must track down a witness that was left behind before the killer can correct his fatal error. Then disaster strikes, threatening to tear apart the very fabric of the city-and providing the perfect cover for the killer to slip through the cracks. Shattered Mirror, by Iris Johansen. Coming April, 2018. Eve Duncan is thrown into a deadly game of intrigue when she receives a package containing a skull–and instructions to do her work reconstructing it. When she does, a beautiful woman’s face emerges. But when Eve is introduced to the dead woman’s mirror image, a game is on where her twin’s life hangs in the balance. The Road Home, by Beverly Lewis. Coming April, 2018. 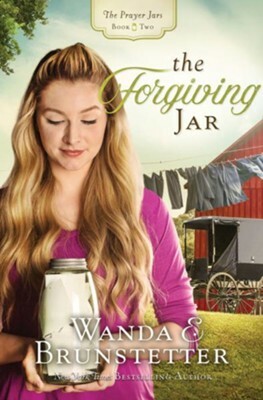 After an accident leaves Lena Rose Schwartz and her siblings orphans, the children are split up and she has to leave her Old Order community in Centerville, Michigan. How will the others manage without her to care for them–especially eight-year-old Chris? And what about Hannes Lehman, the beau she was sure would soon be asking her to marry him? It won’t be forever, she consoles herself. I’ll come back as soon as I can to take care of my family–and to make a home with Hannes. But doing so may prove far more complicated than she ever imagined. Truth or Dare, by Fern Michaels. Coming March, 2018. Find out what’s in store for the Men of the Sisterhood. The 17th Suspect, by James Patterson. Coming April, 2018. A series of shootings exposes San Francisco to a methodical yet unpredictable killer, and a reluctant woman decides to put her trust in Sergeant Lindsay Boxer. A decorated officer, loving wife, devoted mother, and loyal friend, Lindsay’s unwavering integrity has never failed her. But now she is confronting a killer who is determined to undermine it all. Twenty-One Days, by Anne Perry. Coming April, 2018. 1910: Twenty-five-year-old Daniel Pitt is a junior barrister in London and eager to prove himself, independent of his renowned detective father’s influence. 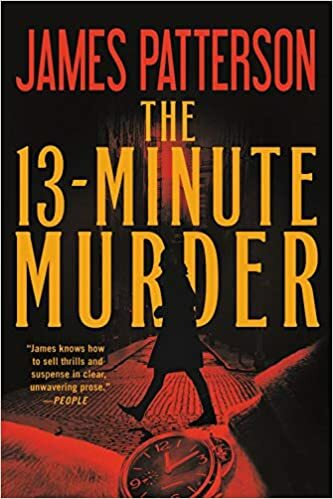 When his client, arrogant biographer Russell Graves, is found guilty of murdering his wife, Daniel is dispatched by his superior to find the real killer before Graves faces the hangman’s noose–in only twenty-one days. Twisted Prey, by John Sandford. Coming April, 2018. Lucas Davenport had crossed paths with her before. A rich psychopath, Taryn Grant had run successfully for the U.S. Senate, and he was convinced that she’d been responsible for three murders, though he’d never been able to prove it. Now he’s heard rumors that Grant has found her seat on the Senate intelligence committee, and the contacts she’s made from it, to be very…useful. Pinning those rumors down was likely to be as difficult as before, and considerably more dangerous. One way or the other, he was going to see it through to the end. Shoot First, by Stuart Woods. Coming April, 2018. Stone Barrington is enjoying a round of golf in Key West when the game is violently interrupted–and it seems as if the target of the disturbance may have been one of his playing companions, the brilliant businesswoman behind a software startup on the cutting edge of technology. From the Florida shores to an English country retreat, Stone embarks on a quest to protect his new companion while searching for the mastermind behind the plot against her.